WCRE is pleased to have exclusively represented 1835 Underwood, LLC in the acquisition of 1835 Underwood Boulevard in Delran, New Jersey from Underwood Boulevard Associates, LLC (a related entity of Whitesell Construction Company, Inc). 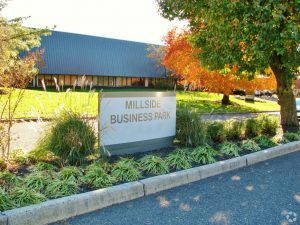 1835 Underwood Boulevard is a +/-24,000 square foot flex building located in The Millside Business Park in Delran, New Jersey. Positioned at Chester Avenue and Route 130 in Delran Township, the park is in the heart of Burlington County’s Route 130 commercial corridor and is only minutes from the Betsy Ross and Tacony-Palmyra bridges providing convenient access to Philadelphia. Building on their successful relationship, the new ownership has retained WCRE to assist in the marketing and leasing of 16,000 square feet which is ideal for any user with the need of both warehouse and office space. Chris Henderson, Senior Associate for WCRE exclusively represented the Buyer in this transaction.